Ultra mellow track list today. I had the privilege of hanging out with Corynn (my old roomate in SF) and @lattekelli Wednesday night in Seattle. 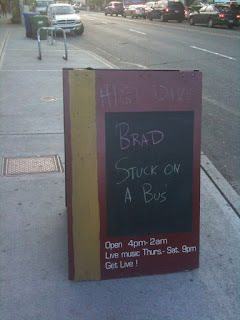 We went to a small concert for Brad, an old school Seattle band fronted by Shawn Smith which also includes Stone Gossard of Pearl Jam. Amazing show. Click through the link on Smith for more of his music. I've included a bunch of the songs played at the concert. Smith also covered Crown of Thorns, a legendary song by Mother Love Bone. MLB included Stone Gossard & Jeff Ament, the two guitarists would go on to found Pearl Jam after MLB's lead singer died in a drug overdose. It's a beautiful song and it was pretty awesome seeing it covered at the High Dive.